At Bertschi we live our values of integrity, inclusiveness, respect, and diversity every day. We know that diversity of all kinds encourages us to engage our differences and makes us better and stronger contributors to our local and global community. His experiences as an international educator brings a global perspective to his leadership. With a student ratio of 7:1, Bertschi teachers are known for their passion, vitality and creativity. They support, supervise and steer an active year-round community of dedicated educators and volunteers. We can’t do all that we do without essential involvement from Bertschi family volunteers who help both in and out of the classroom. Once you’re a Bertschi kid, you’re always a Bertschi kid. Just ask our countless active alumni about the impact of their early childhood education. Our continued focus on innovation is due to our volunteer board’s focused strategy development and informed policy making. Bertschi kids are exploring and defining their own identities in a culture of curiosity, belonging, and respect. 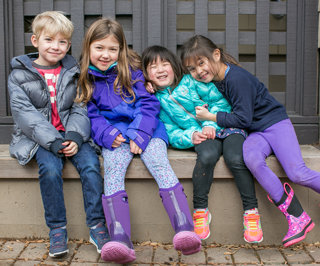 Since its founding in 1975, Bertschi School has committed to building a truly diverse community. We seek to engage with families, educators, and community partners who bring unique perspectives and experiences that enrich our understanding of each other and our world. The work of diversity, equity, and inclusion at Bertschi is multi-faceted and ongoing, and is essential to our mission.